Recently, while reading about glucose, I came across something that struck me as fascinating. Glucose contains six atoms of carbon (bear with me through the science bit – it gets more interesting, I promise). Those six atoms are held together by chemical bonds. In plants, the bonds are made from the sun’s energy during the process of photosynthesis. When we eat those plants, our bodies break the bonds and use that energy from the sun to drive the processes that allow us to live. Isn’t that amazing? Which leads me to my Swiss Bircher muesli recipe. Maximilian Bircher-Benner was a Swiss physician. At the turn of the 20th century, he opened a center in Zurich to heal sick people through healthy eating. He focussed on providing raw food because he believed that it contained high levels of solar energy, which was lost through cooking. 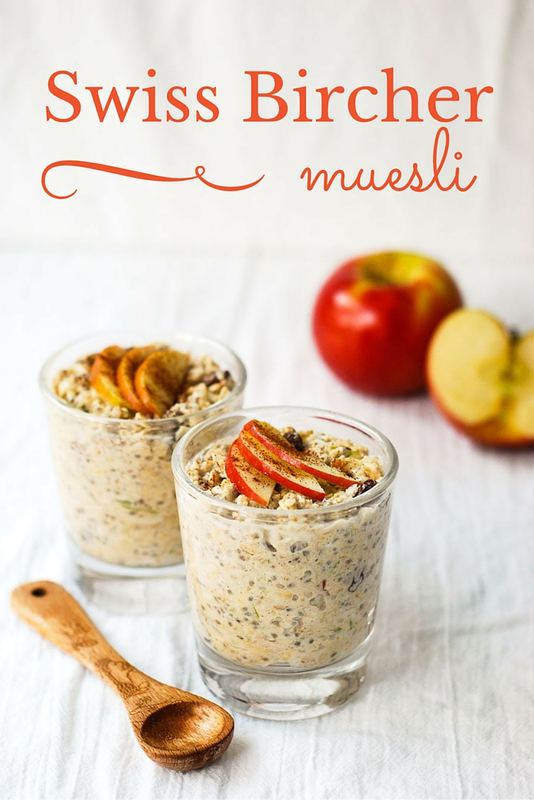 One of his raw recipes remains, to this day, a globally recognized dish – Swiss Bircher muesli. 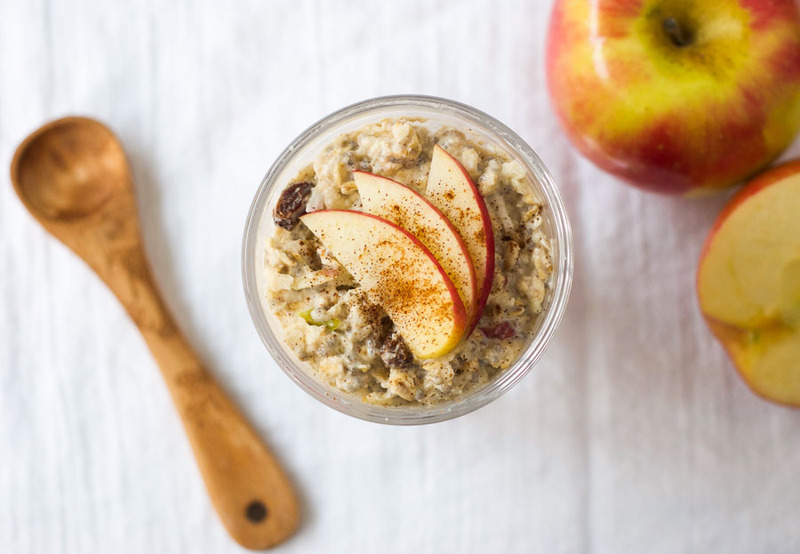 I have been wanting to try my hand at making Swiss Bircher muesli for a while now, but it was this delicious Cinnamon Apple Overnight Oats recipe from Jasmine over at The Richmond Avenue that finally inspired me to take action. 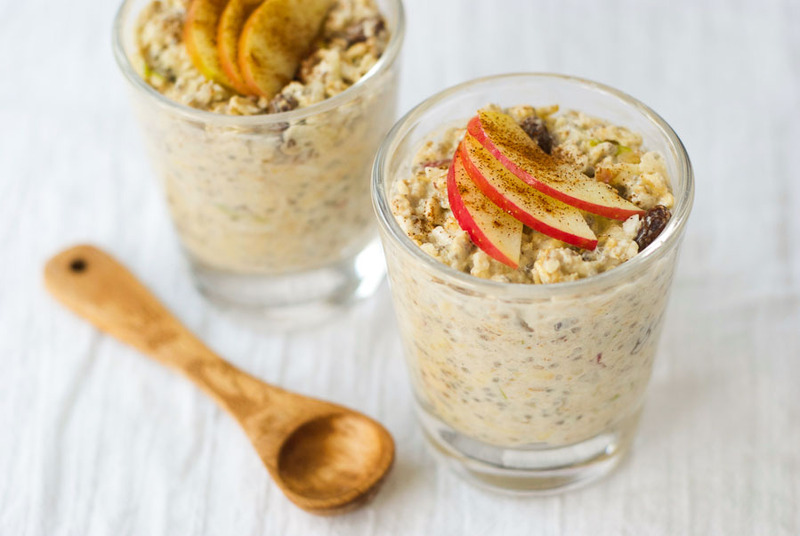 The original Swiss Bircher muesli recipe calls for oats, sweetened condensed milk, lemon juice, grated fresh apples, and ground nuts. These days, however, there are many variations. I decided to tweak the recipe a little. The result was a creamy, satisfying, and healthy breakfast. I switched out the sweetened condensed milk for unsweetened almond milk and plain low fat Greek yogurt. It reduced the sugar content of the dish, and increased the protein content. I also added chia seeds for extra fiber and omega-3 fatty acids, as well as coconut, applesauce, raisins, cinnamon, and vanilla for added flavor. 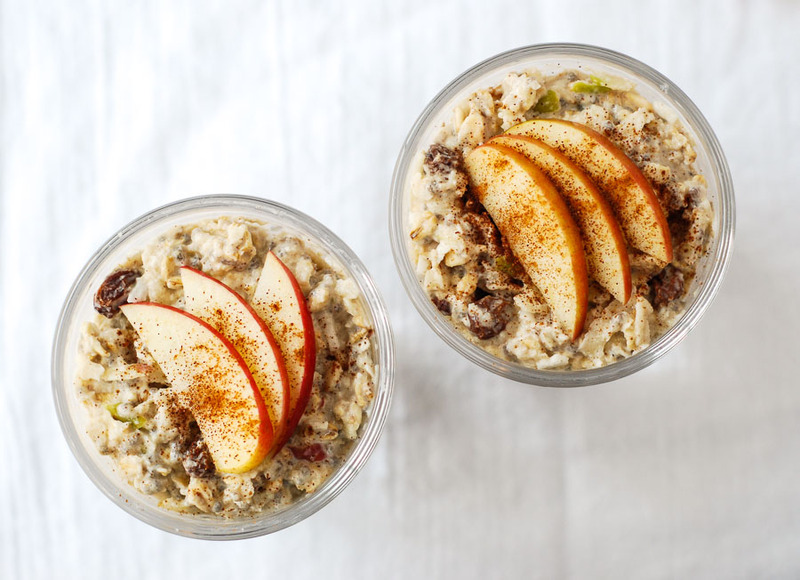 This Swiss-Bircher muesli should be made the day before, which means you can just grab it and go in the morning. 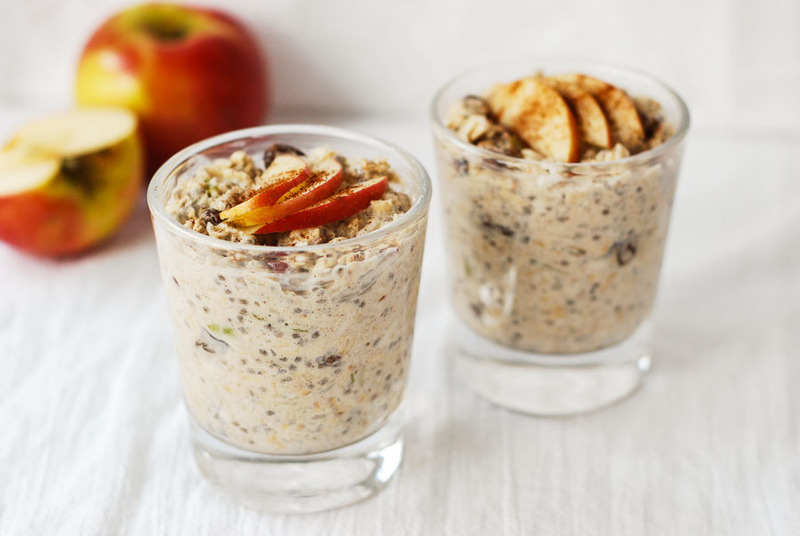 A twist on the original Swiss Bircher muesli, with apple, cinnamon, raisins, coconut, and chia seeds. In a large bowl mix together the oats, coconut, raisins, chia seeds, and cinnamon. In a separate bowl combine the apple with the lemon juice. Add the apple mixture, almond milk, yogurt, applesauce, and vanilla to the dry ingredients, and stir well. Cover and place in the refrigerator overnight (or at least 2 hours). This looks so good, and a perfect start to any day! Thanks Anne. And it’s so easy to make! A wealth of information! And a tasty recipe to boot! Thanks for sharing your version of this classic muesli 🙂 Looks delicious! Love that you brought science into this!